Ever pressed delete and immediately regretted it? Well, I have, and chances are you have too been in a similar situation. We’ve all been in a situation where we deleted our messages whether it was to free up storage or to get rid of unnecessary junk or maybe just by accident. Deleting old SMS is like getting rid of important documents that you don’t think you need at the time but later realize their importance once they are gone. It is then when you go through numerous Google searches to find the perfect solution on how to recover deleted messages on an iPhone. This article will show you how to recover your deleted text messages on iPhone X/XS/XR or iPhone 8/7/6/5. Before you use this software, let us brief you about the technicalities of the process when you delete an SMS on your iPhone. After a text message is deleted from the iPhone its locations changes from “allocated” to “unallocated” data. However, the original data remains as it is on the device. Which means only the file name of the data is changed. So you can still recover your SMS before being overwritten. 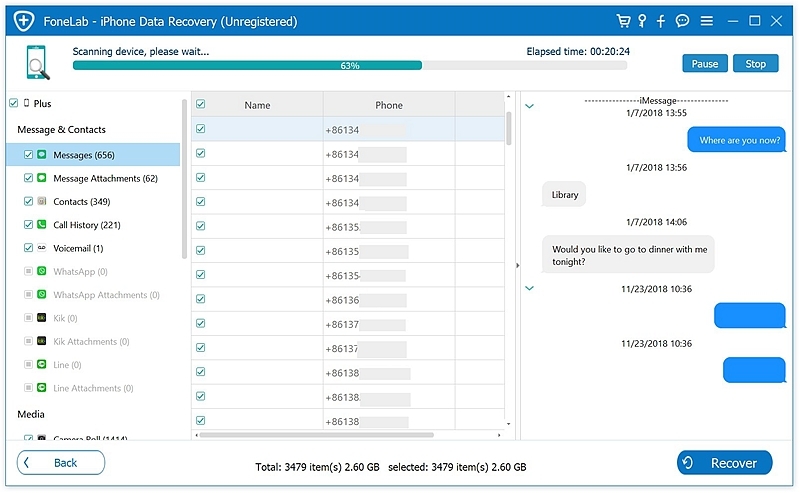 Moreover, the new data is first saved in the unallocated data and then overwritten with new information which is why to recover lost data no new information must be saved onto the device. 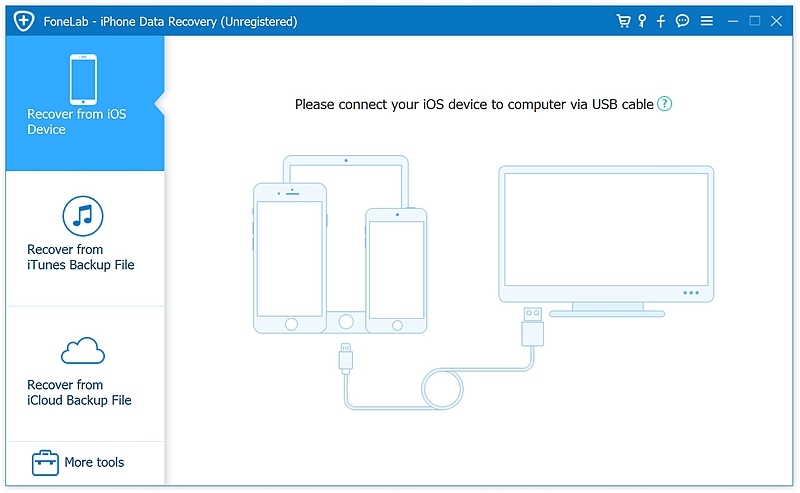 Also, the device should not be used during the recovery of the data. Hence it is advised that no operation must be performed as there is a risk of overwriting of files. If you’ve deleted messages and do not have any backups on iCloud, it is time for you to look for a third party toolkit that works with your iPhone. With the help of these software you can free try to get back your deleted messages. 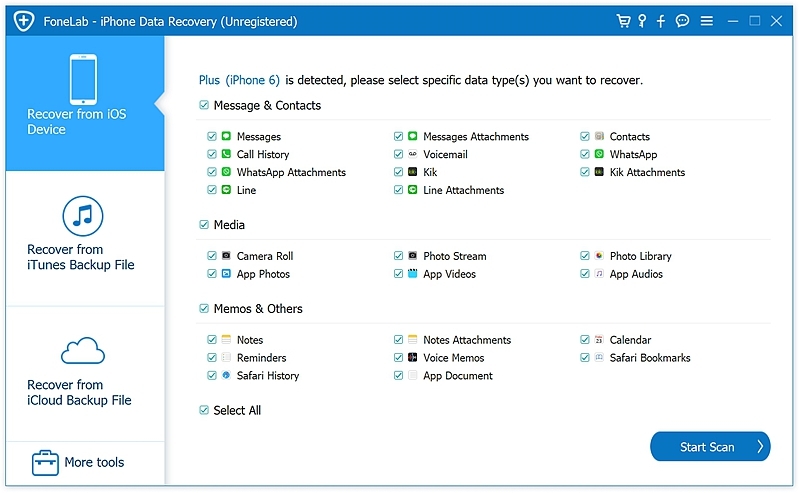 One such software is ‘iPhone Data Recovery‘ toolkit which allows you to recover iPhone data and messages from iOS device directly, as well as recover from iTunes backup or iCloud backup. It also supports data recovery from 18 different types of messaging apps including WhatsApp, Viber, as well as contacts and photos. The software is compatible with all iOS versions beyond iOS 7. The software comes in both Mac and Windows versions and offers a free trial before purchasing it. Step 1. Launch the software and select ‘Recover from iOS Device’. Connect your iPhone to your computer via USB cable. Step 3. Once the scan is complete, all recoverable text messages will appear on the screen. Deleted ones can be previewed by clicking on them. Select the messages you want to recover and then press ‘Recover’ at the bottom right corner. Step 4. A pop-up message appears before you asking where you want to save the restored files and the recovery process begins. The program does not recover the data on to the iOS device to prevent overwriting of the data. Step 1. 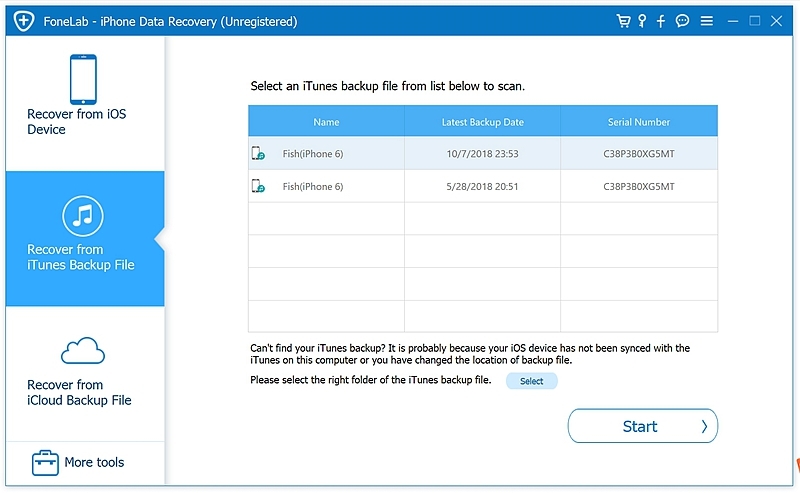 Select the option ‘Recover from iTunes backup’ and click start. You don’t need to connect your iPhone to PC. Step 3. Check the box beside messages and leave the rest as it is and press ‘Scan’ at the bottom of the screen. Step 4. You can surf through the results however you prefer and click on ‘show deleted files’ to recover only deleted messages. Create a folder where you wish to save the backup. Once the recovery process completes, you can access the backup file. Step 1. Run the software and sign into iCloud. Step 2. Enter respective fields in the sign in window. 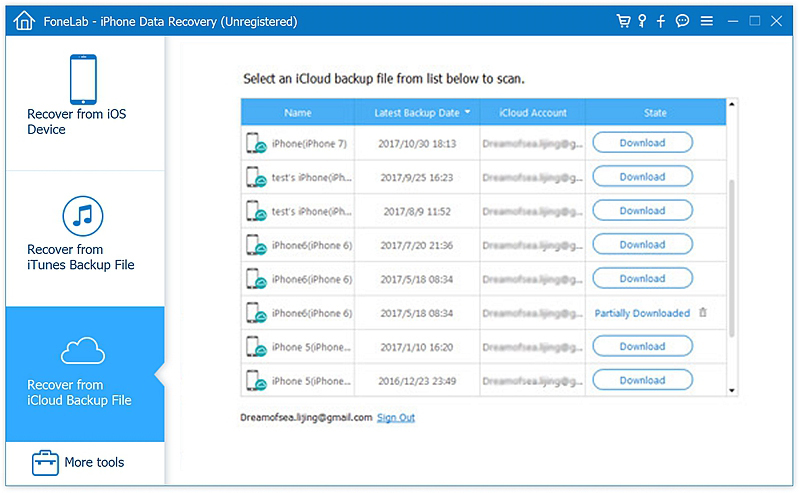 The software will draw up a list of all the backups present in that specific iCloud account. Then you will have to select the iCloud back up you want to recover and proceed by clicking next in the lower right corner of the screen. Step 3. 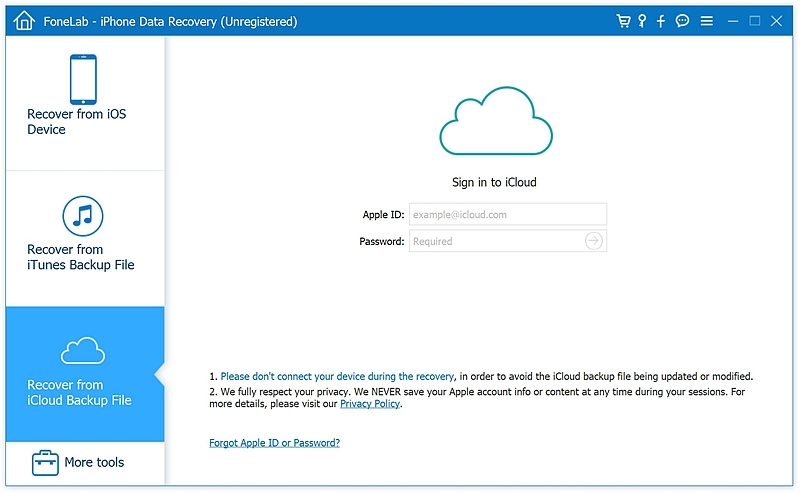 When the iCloud backup file download completes, preview and mark the messages you want to recover and select the file where you want to save the recovered files. It will ask you to wait for a while before all your SMS are recovered. If you’ve been regularly backing up your data to iCloud or even iTunes you can easily restore your phone to the time when it did store that text message. This process is relatively easier, all you need is an updated iTunes software on your windows or mac. But keep in mind that it will overwrite all your phone data. Step 1. Connect your device via USB cable to your windows or mac laptop to which you previously backed up your device and open iTunes. Step 2. 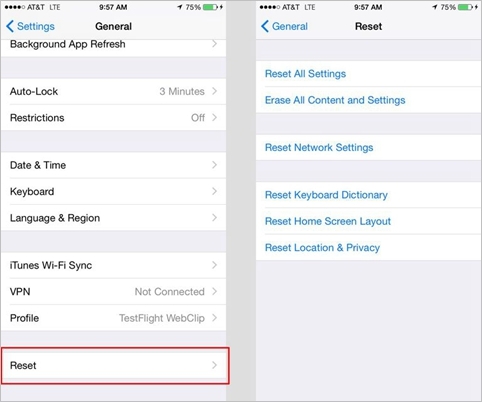 Go to the summary page of your device and select restore back up in iTunes. 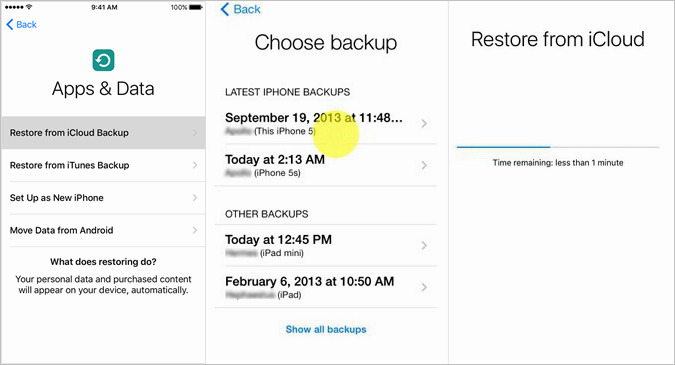 Choose the backup you want to restore from particularly one with dates back to when your device did store that text message. Step 3. Press restore and wait for your device to finish restoring. During this time make sure your device is not disconnected from the computer until the device is done restoring. Step 1. 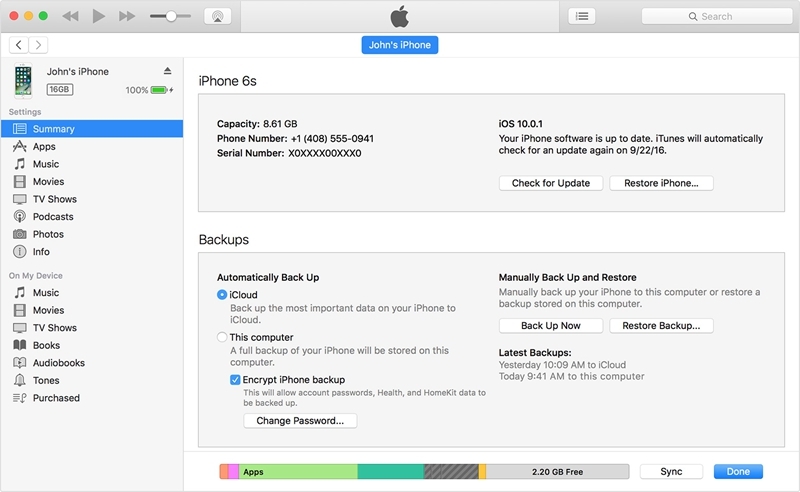 To restore from iCloud Backup, you need to format your device if it’s already set up. After going through a reset follow the instructions until it asks you whether you want to set up as a new device or restore from iCloud backup. Step 2. Log in to your iCloud account using your Apple ID. It will navigate you to a screen with backups. Choose the preferable backup and let the restoring process begin. Step 3. Make sure your device is connected to your Wi-Fi network or Mobile data during the process until it completes. Restoring may take time depending on the size of your back up. You should always backup your device to be on the safe side so that you don’t stress yourself out looking for important conversations on your device. The ways mentioned above have their advantages and disadvantages. By now you must have realized the importance of backing up your device. It is highly necessary to be able to recover lost text messages. So the next time your device sends you a pop-up message asking for a backup make sure you listen.